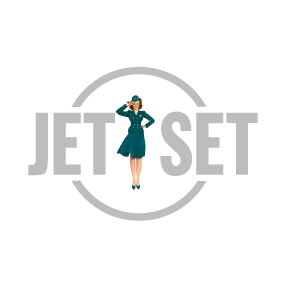 JetSet has pioneered the region’s first multi award-winning ‘wash and blowdry’ concept. Inspired by the glamorous jet-set era of the 1960s, this chain of hair salons has successfully carved out a niche in a thriving market. JetSet offers an innovative, fresh and modern alternative to a traditional salon, and it’s an idea that is well-matched to a contemporary city like Dubai. With three branches inside some of Dubai’s most distinctive destinations – Emirates Towers, Grosvenor House Hotel and Dubai Design District ­– JetSet appeals as much to the UAE’s trendsetting millennials as it does to the elite business travellers. Key to JetSet’s growth is the quality of its dedicated team of around 25 stylists. This is coupled with the brand’s evolution into a full-service hair salon that allows the busy working woman to maximise the time she spends in the chair. It’s taken only a few years to build up a successful brand with a client base of nearly 30,000 women to date. Having established this award-winning concept, The Grooming Company Holding has the vision to grow JetSet into an international brand. With a clear understanding of its clients’ need for convenience and glamour, JetSet is daring and bold enough to stand out from the competition.